When you think about a museum, you think old fossils and paintings, right? Well that definitely was NOT the case recently at the Chelsea Art Museum in NYC!! 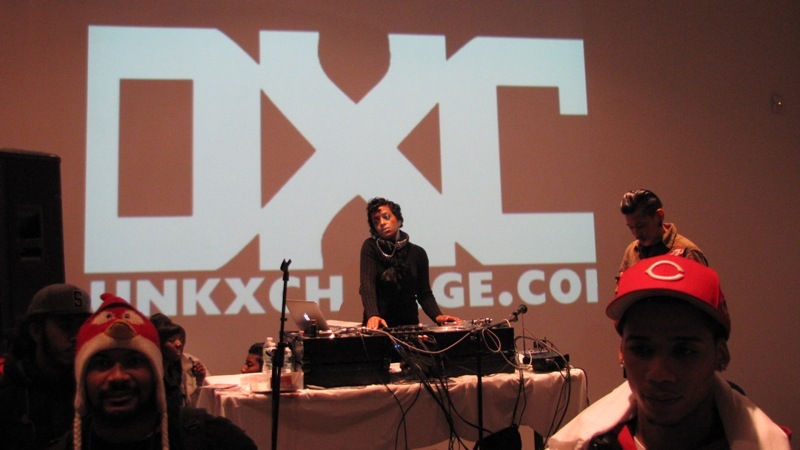 The Chelsea Art Museum was the place to be for “sneaker Heads” across the tri-state, as the good folks at the DunkXchange held their special event dedicated to sneakers and the sneaker culture; allowing vendors to purchase table space in order to sell their merchandise. I arrived early with my good friend @DeadstockRic to give him a hand with the table set-up around 12 o’clock, and already there was a line 300-deep full of sneaker-fiends AROUND THE BLOCK!! 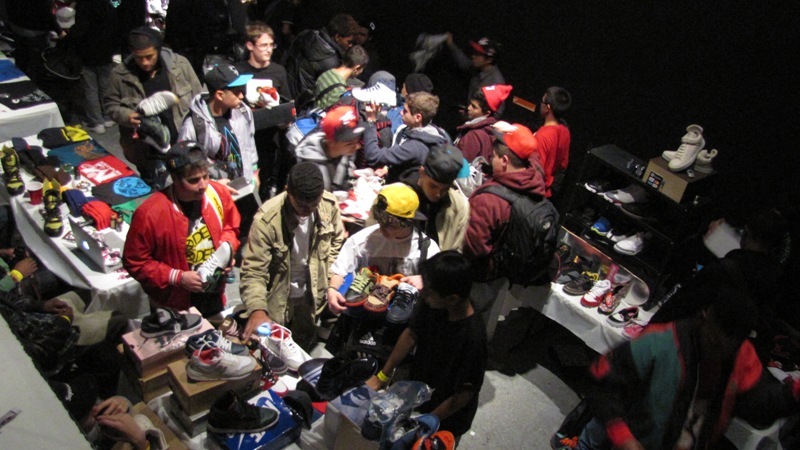 The crowd was a diverse blend of all ages and nationalities with one thing in common: The love of sneakers. And of course GoodFellaz TV was in the building! Once all the vendors were set up and ready and the DJ’s started spinning records, the word was given to open the doors. in no time the huge space that was the Chelsea Art Museum was filled with people who came to buy, sell or trade merchandise amongst themselves, or with the many vendors in attendance. 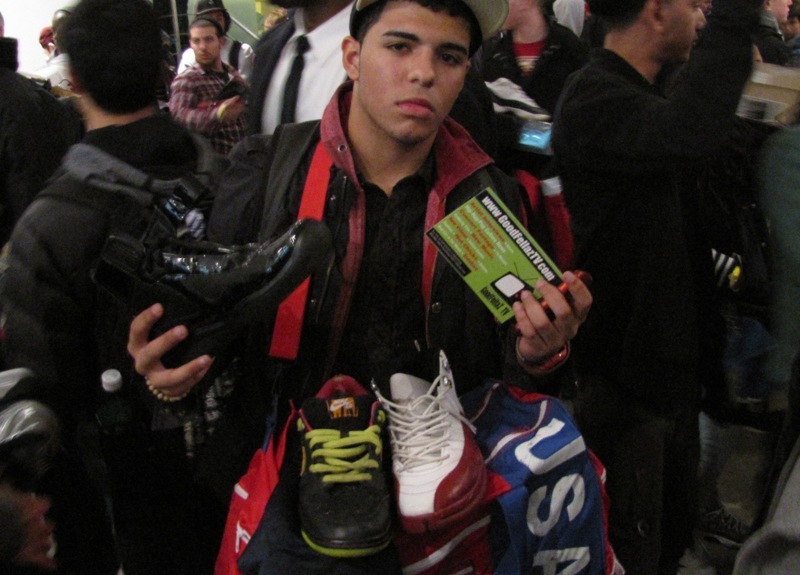 2 well known vendors in attendance were SlowBucks and SK Energy Drink by 50 Cent. 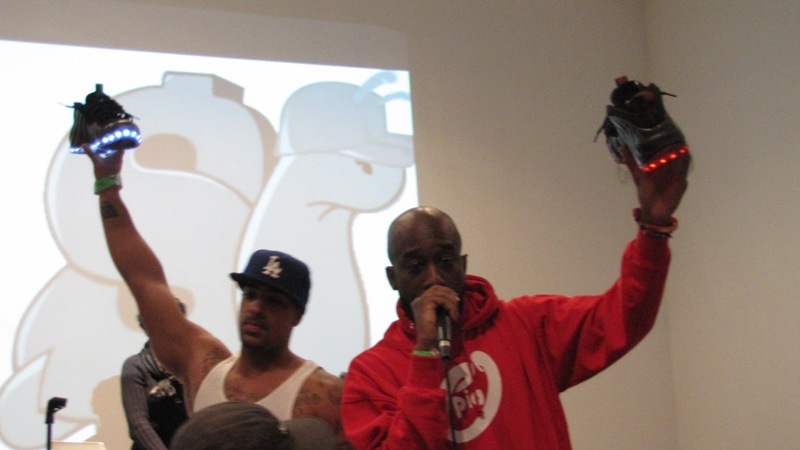 There were numerous give-aways during the course of the events including T-shirts, Knick pre-season tickets, as well as Young Jeezy’s New album “TM 103: Hustler’s Ambition” (shout out to Def Jam). There were also several performances from some of the hottest up-and-coming artists from all over the country, as well as a special performance from Dip-Set’s own Juelz Santana. 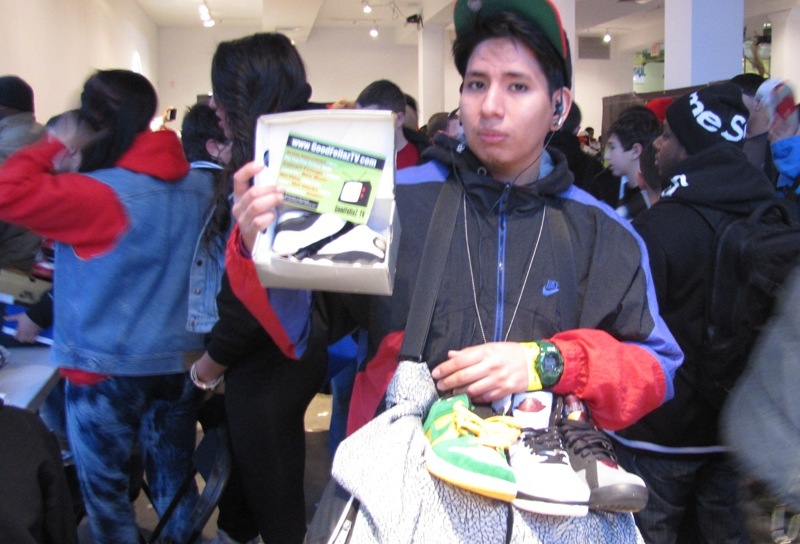 All-in-all it was a great day for sneaker-lovers and a wonderful experience. Check out www.dunkxchange.com to see when DunkXchange will be in your city!! Shout-out to Gary and the DXC team!! 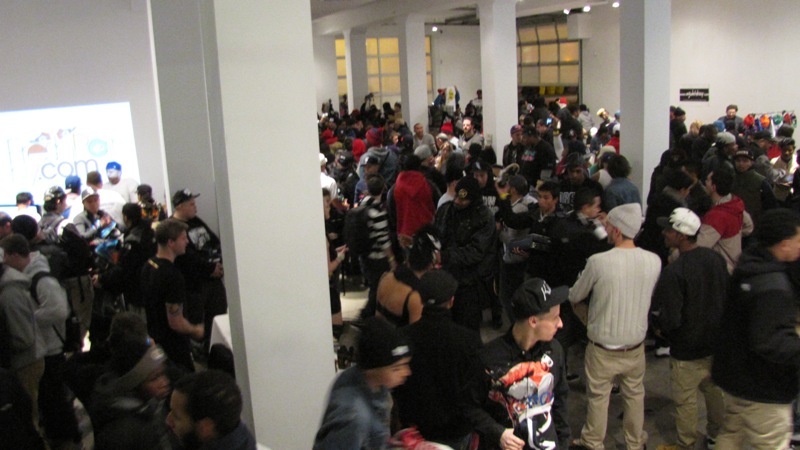 Check out pics from the DunkXchange as well as video footage of Juelz performing, only on GoodFellaz TV.